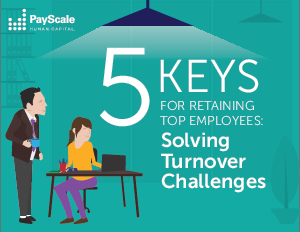 Turnover and retention are opposite sides of the same coin and you can seek the right balance between them to ensure that you’re driving the right talent to and through your organization. You can impact retention by creating a culture that encourages employees to stay. In this eBook, learn the 5 keys to retaining employees to reduce costs, improve productivity, and increase job satisfaction.